When Chrome for Android was released, the coolest feature was easily its ability to sync with multiple Chrome desktops that you had signed into. What better way to continue your work or recent task or restaurant search than by having access to where you left off immediately on your phone. But what about the other direction? Wouldn’t it be nice to have your mobile browser sessions sync back with your desktop? Indeed it would! 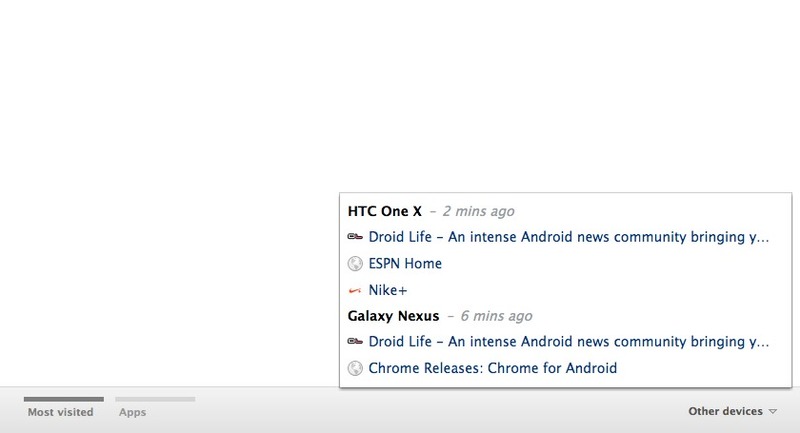 In Chrome Beta 19 that was released on Tuesday, you get exactly that. Not only that, but it also syncs with any device running Chrome, so your internet sessions are with you everywhere.